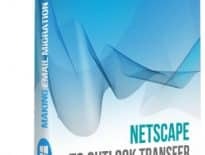 Netscape to Outlook Transfer utility update. What is new in recent version? Making email migration an easy ride - time after time! How to import Live Mail contacts to Outlook? How to Transfer Postbox Messages to Outlook? How to split PST file while the EML to PST conversion? 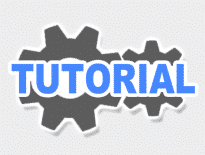 Enjoy hassle-free Netscape Mail to Outlook conversion with new tool! You are here: Email migration software for Outlook » Netscape to Outlook Transfer » Enjoy hassle-free Netscape Mail to Outlook conversion with new tool! Netscape Mail is dead, officially. But what if you want to fetch e-mails from Netscape and save them to Outlook? Officially, it’s hard. But here is a simple tool that saves the day when it comes to thousands of messages to transfer. The name is Netscape to Outlook Transfer. Download, install and run the tool, specify the mailbox format files of Netscape Mail and kick back on your chair watching the program converts every single bit of data accurately and thoroughly. And not that you would have to wait for hours; in fact the tool is ultra-fast thanks to advanced algorithms inside. So you will enjoy your transferred emails in a few minutes. Time to give the program a try! We are continuing to improve our products based on your feedbacks. Please do not hesitate to let us know your ideas. How to split PST file during EML to PST conversion? How to Import Distribution List Into Outlook? How to convert Outlook for Mac to Outlook for Windows? How to transfer Outlook files to a new computer? How to transfer Outlook contacts to iPhone? GlexSoft LLC is a developer of an extensive line of specialized data conversion tools for popular email applications. Read more. A long time devout Thunderbird user, I’ve recently had to switch to Outlook to comply with the new employer’s software policies. My mailboxes had thousands of messages in them and losing any of them was highly undesirable, to say the least. Thunderbird to Outlook Transfer was one of the first tools I found online and I never had to search again – it’s all there, and the process was flawless! I must give credit to the developers of this software. When I had to abandon IncrediMail and switch to Outlook, I had no confidence at all. However, when I started IncrediMail to Outlook Transfer for the very first time, I knew it would be an easy ride. The interface is a no-brainer and the process is smooth and completely automated. What else could you wish for? Thumbs up, guys, it’s a real gem! I rarely write reviews, but I feel I must break the rule this time. Just wanted to let you know that I am deeply impressed with the work you’ve done and tell you how immensely helpful your program was. It solved my problem in minutes and I spent far less than I planned. I’ll keep an eye on your other products and will surely recommend them to my friends and colleagues. Keep up the good work, guys! Extremely fast response, expert service...perfect! Why mess about tinkering with niggle problems when it can be sorted out by a professional!! Many thanks to the team behind Mac Mail to Outlook Transfer. It’s never easy to switch from a familiar tool (and even a very familiar operating system) to a new one, but this product really exceeded my expectations. I would never imagine that it would be so easy to convert my emails from my Mac to my new PC. The entire procedure was a snap and I found zero problems with my mail afterwards! I’ve been looking for a tool like yours for a very long time, since I deal with this type of email conversion at work on a fairly regular basis. I was happy to add it to my standard software arsenal and haven’t had a single issue for several months in a row – much to my own and my users’ joy. Thank you guys for building a tool that is insanely fast, accurate and a breeze to use at the same time! As much as I trust Google, I’ve always thought that having a local copy of my Gmail archive is a pretty good idea. Gmail to Outlook Transfer helped me convert my emails to the good old PST format in minutes and every email came out clean and 100% readable. Now I can plug this file into my Outlook at any moment to access my email offline. I am impressed with your work, guys, - this is one great tool! I would never call myself a tech-savvy person and usually call a local IT company for PC maintenance, but this time, I decided I could do it myself and picked Entourage to Outlook Transfer to assist me when I had to change my email client. I must say, I had never felt such pride about doing something with my computer as on that day when I nailed this task in a few minutes. Thank you, gentlemen! I take my hat off to you, guys, for creating such a great product for those who need to drill down into vast email archives looking for something important. Being exactly such a person, I have already saved countless working hours using Data Extraction Kit for Outlook. The software is fast, very reliable and straightforward – I figured out how to use it a minute after the first start! Very pleased with the results. I needed it for a migration from MAC to PC. The file conversion went very fast and smooth as advertised and I am very pleased with the results. Thank you! Thanks for your quick and very competent help! Will come back to you when needed! Great product and even better customer service, thanks guys for making the migration from Thunderbird to Outlook painless. Copyright © 2008-2019 GlexSoft LLC - Affordable and Reliable Software for You.